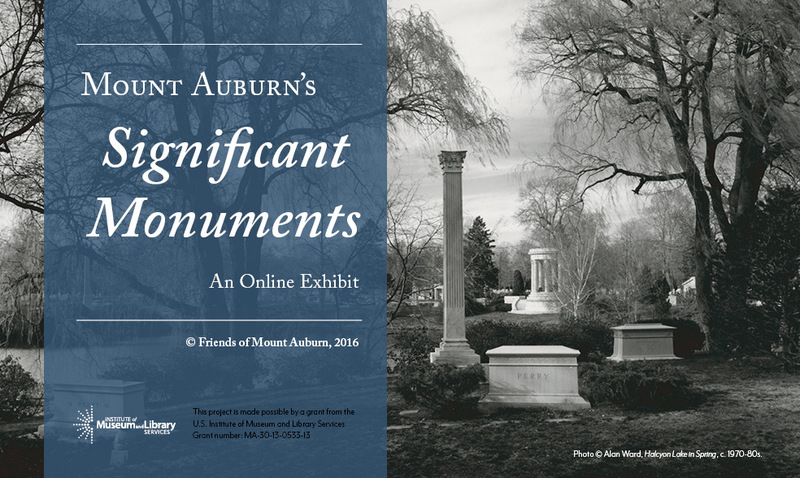 Explore our new online exhibit, Mount Auburn’s Significant Monuments (click the image below to launch the exhibit in a new window). Written by Melissa Banta with Meg L. Winslow, with excerpts from their publication The Art of Commemoration and America’s First Rural Cemetery, the online exhibit features thirty of Mount Auburn’s significant monuments, from the Hannah Adams memorial (the first monument at Mount Auburn) to the Mary Wigglesworth memorial (an example of Victorian vernacular). Published by the Friends of Mount Auburn, the exhibit is made possible by a grant from the Institute of Museum and Library Services (IMLS) to research and document thirty of our significant monuments. 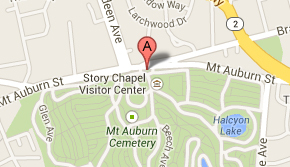 It is a great honor to be the first cemetery in the United States to receive this grant. We hope the exhibit will serve as an introduction to funerary art at Mount Auburn, and that it will encourage further scholarship and newfound appreciation for the artwork to be discovered in Mount Auburn’s beautiful landscape.